Located near the intersection of 5600 W and 4700 S, Extra Space Storage serves Salt Lake City residents near West Valley City, Kearns, Oquirrh, Taylorsville, and more. Locals will recognize our facility a few minutes near Christensen's Point S Tire & Auto Service and Ab's Drive-In. With a wide selection of storage units, exceptional security, climate-controlled storage, and drive-up access, Extra Space Storage on 5600 W is the self storage partner you can count on in West Valley City! Our 5600 W storage facility has unit sizes from 5x5 to 10x30, so it's easy to store items large and small. We also have unit features like first-floor access and drive-up access for your convenience! 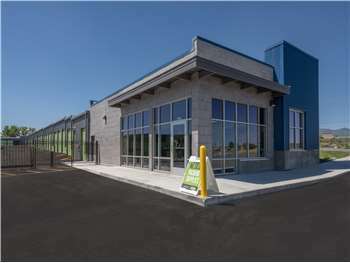 To ensure the safety of our customers and their belongings, Extra Space Storage in West Valley City utilizes security measures like electronic gate access and 24-hour video surveillance. If you plan to store delicate items, we highly recommend renting a storage unit with climate control. This unit feature keeps your items in an environment between 55 and 80 degrees at all times, preventing damage caused by extreme heat and cold. Drive-up storage units at our West Valley City storage facility offer the best self storage convenience! Simply pull your vehicle up to your unit to unload and load heavy items. These units can also be used as garage-like storage for cars, motorcycles, and other small vehicles. Not only does Extra Space Storage maintain a clean, secure facility at all times, but we also have the best customer service in the industry! Our friendly, professional staff works hard to meet your needs and ensure you have a positive experience with us. Contact us today to reserve a storage unit in West Valley City!